Following more than 100,000 downloads and 4/5 stars with Swipe Basketball, comes the continuation of the only basketball game that fully integrates physics and effects of a 3D engine. Swipe your finger to get the perfect shot and become the best. Now you can have your own team and see your position in a global ranking so you can become the best! Get ready to overcome all kinds of challenges on the basketball field with several shooting modes and a spectacular 1vs1 mode. You can also play alone or with friends, you decide! 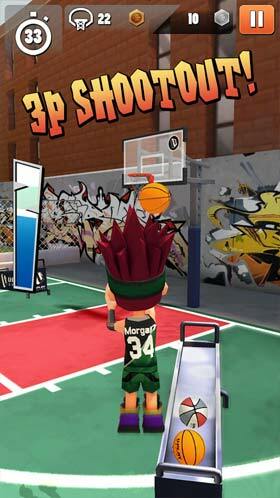 Three game modes, gifts and surprises await you in Swipe Basketball 2. 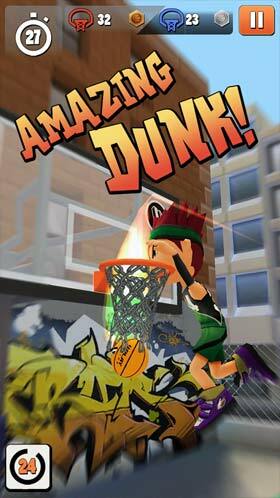 ✔ Three different game modes: Streetball campaign, global and multiplayer events. ✔ Five different fields and up to 15 final bosses to defeat on Arcade Mode. ✔ Daily quests so you can train everytime. 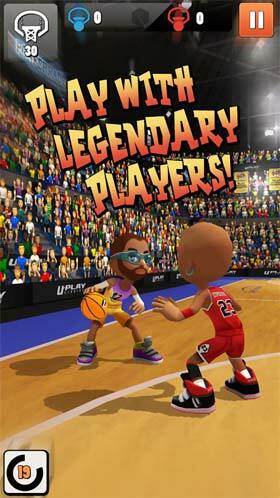 ✔Exclusive characters representing basketball legends. Check them out in the store and get them! ✔ Wheel of fortune and lucky shot: receive every day surprise items. ✔And all this with stunning 3D graphics and awesome effects.